A building by Frank Lloyd Wright is at once unmistakably individual, and evocative of an entire era. Notable for their exceptional understanding of an organic environment, as well as for their use of steel and glass to revolutionize the interface of indoor and outdoor, Wright's designs helped announce the age of modernity, as much as they secured his own name in the annals of architectural genius. This meticulous compilation from TASCHEN's previous three-volume monograph assembles the most important works from Wright's extensive, paradigm-shifting oeuvre into one authoritative and accessibly priced overview of America's most famous architect. Based on unlimited access to the Frank Lloyd Wright Archives in Taliesin, Arizona, the collection spans the length and breadth of Wright's projects, both realized and unrealized, from his early Prairie Houses, through the Usonian concept home, epitomized by Fallingwater, the Tokyo years, his progressive "living architecture" buildings, right through to later schemes like the Guggenheim Museum, New York, and fantastic visions for a better tomorrow in the "living city." 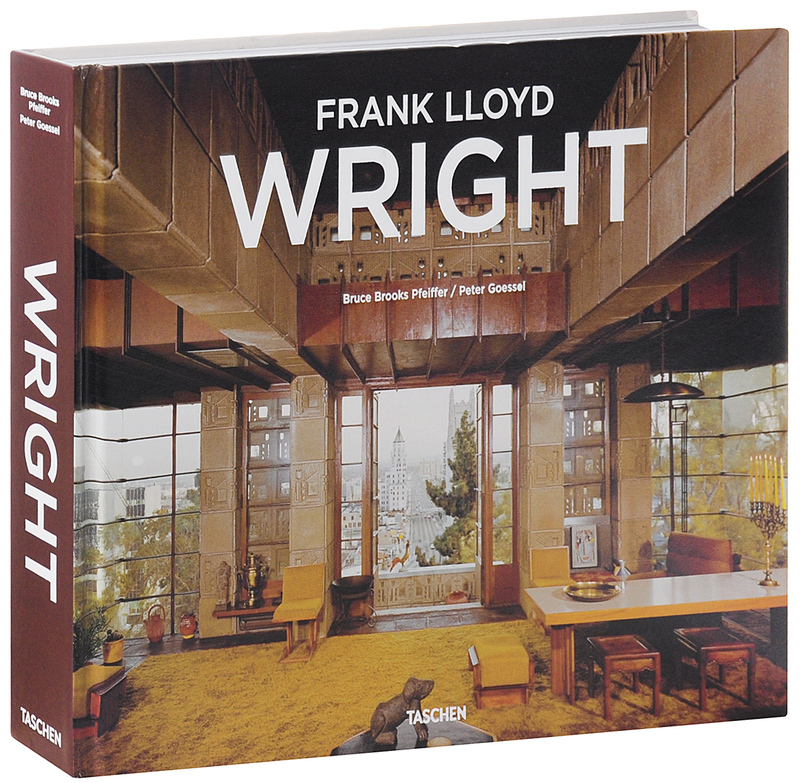 Author Bruce Brooks Pfeiffer, who served as Wright's apprentice during the 1950s, discusses recent research on Wright and gives his own insights on these game-changing buildings.